I am a medievalist and an adjunct college instructor in the humanities at Union College. My research includes medieval theologies of history, text/image relationships in visionary and mystical texts, and the writings of the twelfth-century Doctor of the Church, St. Hildegard of Bingen. I am also a translator of medieval Latin and German texts, especially as relate to my research. My translation of Hildegard's Book of Divine Works is available from Catholic University of America Press here. I completed a Master's in Medieval Studies at the University of Notre Dame in 2010, a Fulbright Fellowship in Germany in 2008, and a B.A. in Classics and German at Boston College in 2007. Scivias III.5 in the Rupertsberg MS. The parched sands of the Middle East are dampened only by blood spilt in the ravages of war; the powerful and rich, their hearts enflamed by greed, drive their thirst ever harder with guiltless rapine; the Church, our Holy Virgin Mother, is raped and defiled by the lusts of her ministers. Corruption among men, even those supposed holy; floods and famine, quakes and drought, a natural world rent by disaster. These are times of crisis; but are they times of despair? The more out of control we see events around us, the more willingly—and eagerly—we’ll see patterns that may or may not exist, hunting for a sense of meaning guiding events. (…) [T]he true significance of Nostradamus lies less in the future than in the present. After all, as detractors have pointed out, the Prophecies have never been used to predict the future; they are always cited after the fact as evidence of Nostradamus’ infallible accuracy. The legend of Nostradamus persists not because we want to understand what’s ahead, but because we want to believe—desperately—that some divinable order lies behind all the chaos. He even offers the argument that we are biologically hard-wired to take seemingly random, chaotic, and senseless data and arrange them into a coherent order that provides meaning. I’ve discussed before the power of narrative as a pedagogical tool; it springs from our innate impulse to place ourselves within a teleologically ordered frame of time and space. It is this desire for meaningful order that drives the recurrent popularity of “prophecy”. My own research work centers on the prophetic and apocalyptic offices of Hildegard of Bingen (1098-1179), one of the most remarkable thinkers of her time. One of the images I alluded to in the beginning—of the Church raped by an (e)sc(h)atological mass—comes from her gripping visions of the end of time towards the end of her first work, the Scivias. 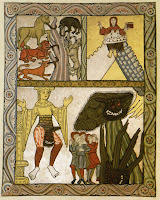 The image above is the illustration of that vision from the Rupertsberg manuscript of the Scivias, most likely designed by Hildegard herself in the last decade of her life. Particularly striking is the complex interplay of optimism and pessimism that marks Hildegard’s more radical apocalyptic thought, especially since her wide reputation long rested on her gift of prophecy. Though today we read her wide-ranging works as a whole, from her death until well after the Reformation, she was primarily known in a redaction of her prophetic and apocalyptic writings executed in the 1220’s by Gebeno von Eberbach. Hildegard’s vision of God’s plan for history and the Church’s role in carrying out that plan was one of the most remarkable of her age. Stretching the bounds of scriptural exegesis and prophetic revelation, she conceived of an extraordinary future for the Church: returning “to the first dawn of justice”, it was to become an apostolic Church stripped of the wealth and power of the world, invested with virtue and holiness. Her holistic notions of the integrity of natural creation, torn asunder by evil and restored by the Incarnate Christ, found expression in her music and visual image designs; while her contempt for corruption broke through the doors of palace and cathedral alike. The age in which Hildegard lived was a time of both continuity and innovation in the history of Christian modes of apocalyptic thought. While receiving the Augustinian-Tyconian tradition of spiritualizing exegesis, some also explored a more concretized conception of God’s intervention into history and its revelation in Scripture. Many of the reformers of the twelfth-century church espoused radically revitalized notions of the church’s role in carrying out God’s plan. Theologians like Rupert of Deutz, Honorius Augustodunensis, Gerhoch of Reichersberg, and Anselm of Havelberg developed increasingly complex theologies of history, a trend that would see its apogee in the extensive exegetical patterns of history enunciated by Joachim of Fiore at the end of the century. Hildegard’s fame as an apocalyptic prophet, like that of Joachim and Nostradamus, spread in the centuries after her death. Her prophecies were applied to such disparate events as the arrival of the mendicant orders in the thirteenth century and the rise (and downfall) of those “fire-brands” of Europe, the Jesuits, in the sixteenth century. But when we compare Hildegard’s own conception of her prophetic office with the use (and abuse) of her writings in the centuries after her death, we begin to see a change in what it meant to be a “prophet”. I am the Living Light, Who illuminates the darkness. The person [Hildegard] whom I have chosen and whom I have miraculously stricken as I willed, I have placed among great wonders, beyond the measure of the ancient people who saw in Me many secrets; but I have laid her low on the earth, that she might not set herself up in arrogance of mind. (…) Cry out and speak of the origin of pure salvation until those people are instructed, who, though they see the inmost contents of the Scriptures, do not wish to tell them or preach them, because they are lukewarm and sluggish in serving God’s justice. Unlock for them the enclosure of mysteries that they, timid as they are, conceal in a hidden and fruitless field. Burst forth into a fountain of abundance and overflow with mystical knowledge, until they who now think you contemptible because of Eve’s transgression are stirred up by the flood of your irrigation. For you have received your profound insight not from humans, but from the lofty and tremendous Judge on high, where this calmness will shine strongly with glorious light among the shining ones. Hildegard understood the entirety of her visionary revelations, all the words and images of the Living Light, to be “prophecy”. Her visionary corpus encompasses the whole of Christian theology and salvation history; while the visions she sometimes proffers in her letters can have more concrete monitions to the recipient. Thus, prophecy is God’s message to His people, a message that can both comfort and reassure with the promises of redemption, and admonish and castigate with the thunder of reformation. It is only later, in the second decade of the thirteenth century, that this entire visionary edifice of salvation history from its beginning in creation to its end in judgment and new creation, gets whittled down for most of Hildegard’s readers into a compilation of material focused on her prophecies of the “five ages” to come from her time to the Antichrist. First enunciated in Scivias III.11, Hildegard expanded these in much greater detail in some of her letters (mainly those recording sermons she delivered) and in the final vision of the the Liber Divinorum Operum (Book of Divine Works). 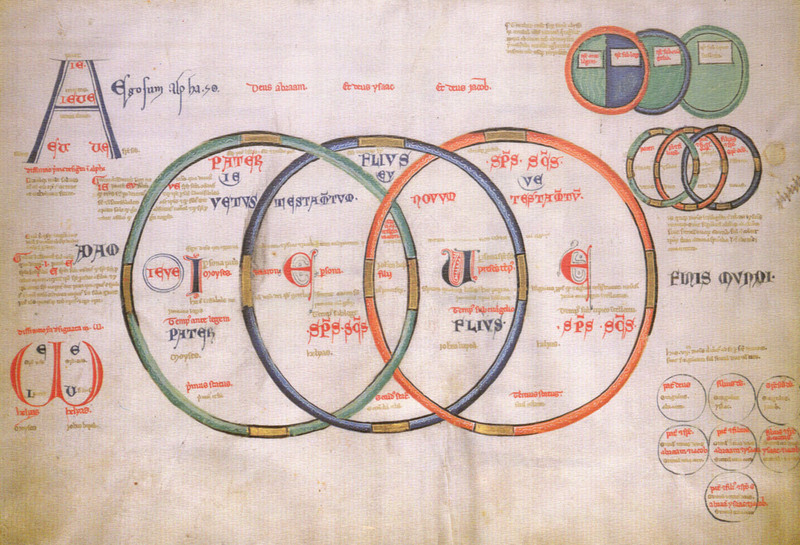 Gebeno, a prior of Eberbach, compiled these visions in the 1220’s into the Pentachronon (Five Ages) or Speculum Futurorum Temporum (Mirror of Times to Come). Driven by rampant rumors of the Antichrist, Gebeno claims to set forth the true words of Hildegard to combat the “frivolous” ramblings of pseudo-prophets. Thus, Gebeno turns to Hildegard not for her words as a theologian of the Christian religion but as a predictor of the Antichrist. A similar decontextualization and abuse began to occur in about the same time with the writings of Joachim of Fiore (c. 1135-1202). Joachim was an Italian monk and abbot (in Calabria, to be specific) who received two major visionary and revelatory experiences in 1183 and 1184. These led him to compose some of the most complete and complex visions of salvation history and its revelation in Scripture ever produced. 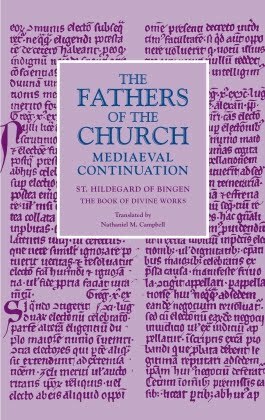 His work, much more exegetically driven than Hildegard’s, plumbed every word and meaning of Scripture to reveal the multiple layers of “concordances” by which all of history lay therein revealed. Structured around three status or “ages” (approximately), he saw history as guided by predominant irruptions of God into created history: first the status of the Father, then that of the Son, and beginning with St. Benedict and culminating sometime after the end of Joachim’s life, the status of the Holy Spirit. Joachim’s was, like Hildegard’s, an intensely mixed vision of both pessimistic and optimistic strains. On the one hand, he saw the world around him mired in corruption and sin. On the other, he held out extraordinary hope for the reformation of the world by a new order of spiritual men guided by the irruption of the Holy Spirit into history. Yet (despite his rather celebrated audiences with popes and King Richard the Lionhearted), Joachim probably never intended his “prophecies” to be read as specific predictions of specific events. Rather, like Hildegard, he offered a blueprint for how the world might be spiritually reformed, guided by the Spirit and enacted by the saints. But again, as with Hildegard’s prophecies of this reformed and blessed future, Joachim’s were cut and snipped from their place within a comprehensive vision of the whole of salvation history and bandied about as divinely-proclaimed tickets to whatever their holders wanted from them. In this way, Hildegard’s denunciations of the Cathars before the clergy in Cologne became, in the hands of popular prophecy-mongers, denunciations of the Franciscans as they arrived in the city decades after her death. Likewise, Joachim’s vision of two new orders of spiritual men (an order of preachers and an order of hermits) became predictive of the Dominicans and Franciscans years after his death. And when, by the middle of the thirteenth century, the Franciscans had let down the more idealistic of their brethren, Joachite and pseudo-Joachite prophecies were volleyed back and forth between the Order and its Spirituals, some of whom were declared heretics for their trouble. There seems to be a shift sometime around the end of the twelfth century (i.e. at the deaths of Hildegard and Joachim) from prophecy as the all-encompassing message of God to His people to prophecy as prediction of the future. The prophet’s office, stripped of its deeper anagogical and moral claims, moves to the wild-eyed fringes. As theology is sliced and diced by the scholastic masters at university, the prophet’s claim to theologian dwindles and soon evaporates. As the prophet’s words about the Antichrist and times to come take center stage, her words about the Church’s mission here and today are lost. And the Church takes notice. As Barbara Newman has pointed out, there developed in the thirteenth and fourteenth centuries a clash between the theory of visions and prophecy and the devotional practices of holy women. The clash of theory and practice was most pointed in the case of (St.) Birgitta of Sweden, with powerful men on both sides playing as much a political game as a theological one in the fight over her visionary authority. Henry of Langenstein and Jean Gerson began explicitly to formulate the theological danger of “custom and habit” in the visionary experience. It is Gerson’s work that appears to spell the beginning of the end of cultivated visions recognized by the Church as revelatory. In effect, however, this appears to have been “to the ultimate advantage of lay visionaries,” as it freed the meditational practices from the thorny theological problems of authority and divine inspiration. While the truly divine revelation became more and more reserved for the completely “simple”, the cultivation of meditational vision by the laity was left free to prosper. As the true office of prophet became more and more remote both from the Church’s approbation and the reality of devotional practice, the cunning delusions and crafted vagaries of Nostradamus become the norm for “prophecy” in the early modern era. The original contents of prophecy get emptied out and discarded, its shell left a void to be filled by whatever the probing and desperate mind can come up with. No longer is the prophet God’s trumpet; now he is a quack, the inventor of dreams and seducer of the rich and powerful. The Church maintains its distance, and the “prophet” tells the future for those who will pay. St. Hildegard of Bingen. The Book of Divine Works. Trans. Nathaniel M. Campbell. The Catholic University of America Press, 2018. Content Copyright 2007-2016 by Nathaniel M. Campbell. This work is licensed under a Creative Commons Attribution-NonCommercial 4.0 International License.